Eye bolt with collared plate designed to sit neat and flush on to the mounting surface, in marine grade stainless steel. 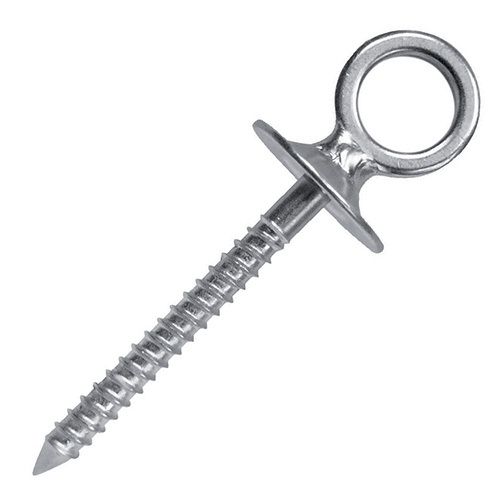 Collared Eye Bolt with wood screw thread. Manufactured from high quality 316 grade stainless steel making this eye bolt perfect for outdoor use. 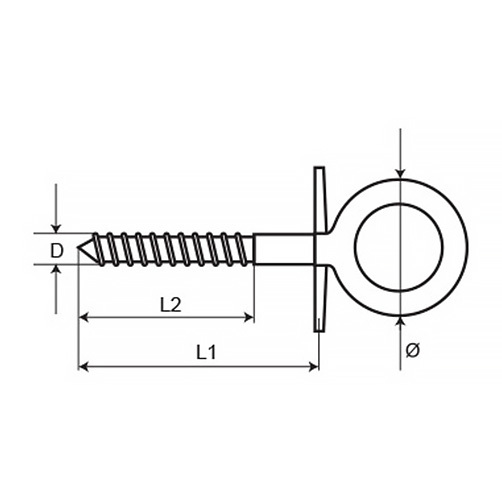 Wood screw thread eye bolts (also referred to as vine eyes, screw thread eye bolts, eye screws, or turned/bent eye lags) have a wood or lag screw thread for use in wood, masonry or lag anchors. Commonly used to attach cables to objects and often used as a plant training aid. Also a great component for building a wire trellis. Shoulder or collared eye bolts should be used for angled loads.